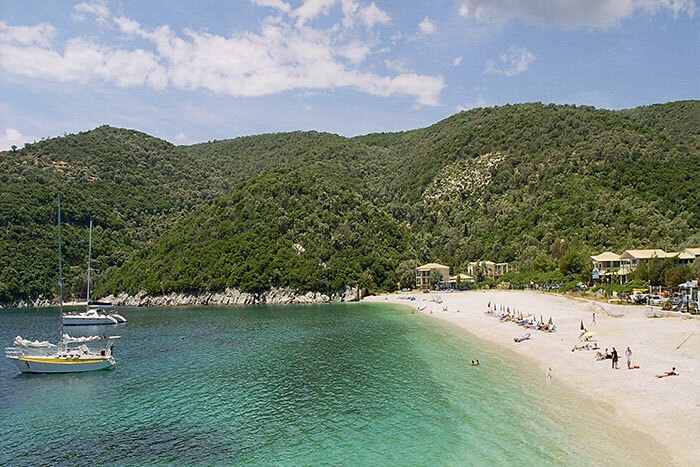 Mikros Gialos is located in a natural bay, with a beautiful landscape and a privileged location because it is protected from the winds, with the sea always calm and peaceful. The beach is pebbled with white pebbles and sand, while the waters are crystal clear, blue and green, with the seabed being of great interest to explore. This perfect combination of green, blue and white make the beach a unique and ideal destination for relaxation and relaxation. Part of the beach is organized and has facilities such as sun loungers and umbrellas, but they do not occupy much of it, leaving much room for those who want to use their own equipment. At the back of the beach and along the alphabetical road there are several cafes and restaurants where you can enjoy your coffee or your meal, and you will also get the necessary supplies. There are also water sports facilities on the beach, such as canoes or water bikes. 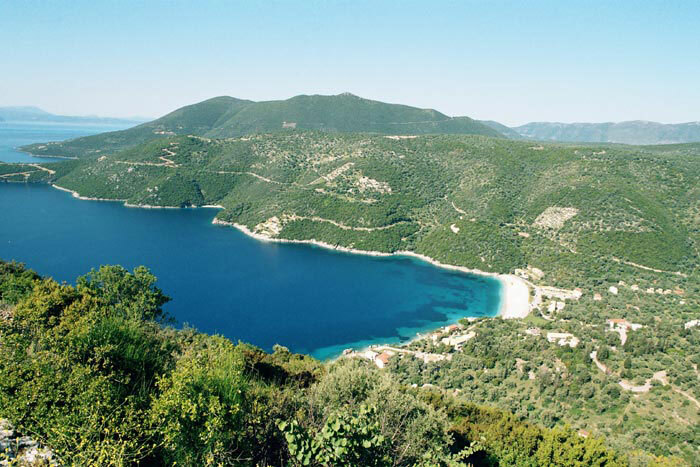 Ruda Bay, which is the beach of Mikros Gialos, is the port of the village of Poros. Poros is built so as to be invisible from the sea, preserving the habit of the old days that wanted the villages hidden from the fear of the pirates. It was named after the mountain on which it is built. It is filled with pores, that is holes with running water. What is interesting in the area is the ruins of an ancient Tower in the South. of the village, at Pirgi. The tower, whose height was over 7 meters, was identified by the German philhellene and archaeologist William Doerpfeld in the early 20th century. Its construction is likely between the 3rd and 4th centuries. BC, while nearby remains of an olive press and a tank of the 20th century. B.C. .